Intruder Watch service – The Radio Amateur Society of Australia Inc.
Back in the 1950s, 60s, 70s and 80s the radio spectrum was heavily regulated. Government radio regulators were well resourced, with extensive monitoring systems and many field staff to locate and act on illegal transmissions. Over the past few years, there has been a trend towards spectrum self-regulation, with Government moving out of its traditional day to day enforcement role. It falls to amateurs, therefore, to become more proactive in monitoring our bands and reporting interference from unauthorised/unlicenced stations. The IARU Monitoring System is a worldwide service authorized by the IARU Administrative Council. It is the obligation of the IARU and its member-societies to defend the interests of the Amateur Services as stated in the IARU Constitution. The IARU Monitoring System is served by many dedicated volunteers who have served effectively for many years. Each of the three IARU regional organizations selects and appoints an IARU MS Regional Coordinator. One of the primary objectives of the IARU Monitoring System is the identification and initiation of steps leading to the removal from amateur bands of radio signals of non-amateur stations causing harmful interference to the amateur and amateur satellite services contrary to International Telecommunications Union and national radio regulations. Typical intruders include shortwave broadcasters, Over the Horizon Radar, CODAR, unlicensed operators on the bands including taxicabs on 10 meters and fishermen on various bands, military RTTY and beacons, fishnet beacons and various types of jamming signals. The IARU monitoring system is designed for reporting Intruders in bands in which the amateur service has primary status. Localised electrical noise is not regarded as an “Intruder”, and is not within the scope of this service. The IARU monitoring system also does not deal with Amateur-Amateur complaints – that is the remit of the ACMA. The IARU monitoring system in Australia, known as the “Intruder Watch” system does not function effectively, principally due to indifference by amateurs. The system relies on reports from amateurs, yet there are no more than 1-2 people making regular reports. These reports typically contain between 460 and 550 instances of intruders on our bands. 99% of the reports come from one person. There is a lack of due diligence by the IARU Reporting Service, as about 15% of reported events relate to intruders outside our primary allocations. The reality is that we are seeing about 400-450 instances of intruders being reported on a monthly basis – month after month. It is unclear what actions and results are being achieved by the service. It is understood the reports are collated and sent to IARU Region 3 (somewhat ironically, in Indonesia…) and also to the ACMA. However, there have been no reported positive outcomes of removal of Intruders by this service. It is not known if specific approaches have been made to regulators to investigate or follow-up on individual instances of intruder reports. So, whilst we hear many people complaining about intruders on our bands, only one or two bother to report these events and it appears that, realistically, very little is being done. The irony is that the system can work – one report (December 2015) of a signal from an Australian Government user in primary amateur allocations was followed up outside of the IW Service (direct contact with ACMA by the author) and resulted in the offender being instructed to move by the ACMA. This is a practical example of what can be done to achieve a positive outcome. The regulator will act if they are presented with well-researched evidence. 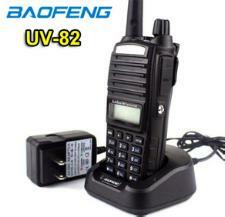 With more and more cheap Chinese VHF/UHF radios capable of unrestricted transmit coverage appearing on the market, general HF spectrum anarchy from nations to our north and very little official monitoring of HF/VHF bands from a generally “hands off” regulator, the problem of intruders on our bands will only get worse. An agreed set of procedures was developed with the ACMA (by the author, when a WIA Director) in 2005 for the Intruder Watch service. It is up to us, as responsible radio spectrum users, to be pro-active. Intruders can be moved, but they aren’t going to move themselves. The Australian IW service clearly needs to be revitalised, with accurate reporting by many more amateurs and follow up of reports by the IARU (and the ACMA when required). In view of the threat posed to our bands by intruders, RASA have decided to participate in the IW service. Please download the form and email your reports to us at the end of each calendar month – use the normal RASA email address. Please put the words IW report in the subject line. We will forward the reports to the Region 3 coordinator and we will also publish a monthly summary of reports received on the website. If you hear an intruder, please report it. The IW service needs your reports. It includes a link to the monitoring system manual and some useful background information. What can I report, where? There are many new digital modes on the bands these days – that strange signal you can hear on 20m may in fact be another amateur. As discussed earlier, you can report intruders in what is known as Primary amateur spectrum. 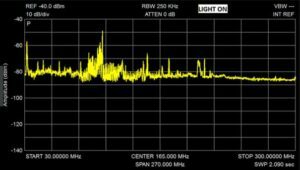 See Amateur radio spectrum management for a background to the terms Primary and Secondary spectrum. A typical intruder is shown in the video below. They are using USB in the CW section of the 40m band. Another clue is the frequency – intruders often use round numbers (but not always). 160m 1800-1875 1800-2000 kHz is Co-Primary with Fixed, Mobile and Radionavigation (Loran – closed) in Region 3 (Asia and the Pacific). 3776-3800 3500-3900 kHz is shared with Fixed and Mobile in Region 3 – the long established Japanese radiofax transmitter on 3625 kHz is a good example of this. 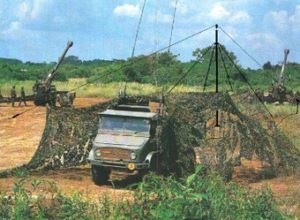 40m 7000-7100 7000-7050 kHz is co-primary with Fixed and Mobile services in Angola, Somalia, Togo, Iraq, Egypt, Eritrea, Ethiopia, Guinea, Libya, Madagascar, Niger, Uzbekistan and Kyrgyzstan. .
14250-14350 14250-14350 kHz is Co-Primary with Fixed services in Armenia, Azerbaijan, China, Côte d’Ivoire, the Russian Federation, Georgia, Iran (Islamic Republic of), Kazakhstan, Uzbekistan, Kyrgyzstan, Tajikistan, Turkmenistan and Ukraine. 17m 18068-18168 In Armenia, Azerbaijan, the Russian Federation, Georgia, Kazakhstan, Kyrgyzstan, Tajikistan, Turkmenistan and Ukraine, the band 18068-18168 kHz is also allocated to the fixed service on a primary basis for use within their boundaries, with a peak envelope power not exceeding 1 kW. 2m 144-148 MHz Entire band is primary in VK. 146-148 MHz is shared with Fixed and Mobile in Region 3. 144-146 MHz is allocated to the aeronautical mobile service in China on a Secondary basis.